K.I.M. Publishing, LLC, 9780996257152, 290pp. Belle McKenzie is obsessed with finding the best apple anyone ever bit into and determined to rekindle the love this obsession has nearly destroyed. Scarred by betrayal, Belle mellows from bitterly unforgiving, to a woman willing to swallow her pride to win back the man she never stopped loving. Cut from the same cloth as her grandfather, Pap, who owns the biggest apple orchard in North Carolina, she risks her life rescuing four hundred antique apple trees her neighbor has spent a lifetime collecting from old farms all over the South. 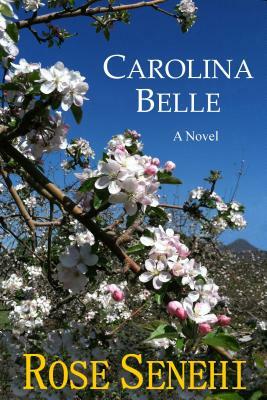 From them, Belle, a botanist, is hellbent on creating a "billion dollar" apple she'll call the Carolina Belle. Matt has worked for Pap since he was old enough to hold up his end of an apple box. Pap thinks of him as the son he never had, but Belle as the man whom she loved and who betrayed her. Recently divorced, Matt pursues Belle, the love his father forced him to turn his back on. Will the missteps of their past keep them from trusting each other, or will their suppressed love bloom enough to overcome unfounded suspicions. Rich in emotion and driven by suspense, this tale reveals the bold, resourceful character needed for a clan to survive for five generations in the precarious business of apple growing in the North Carolina Mountains. Woven throughout this story is the fascinating history of the American apple that started when countless settlers planted seeds all over the country and kicked off one of the biggest evolutionary experiments this nation has ever seen. Read this novel and you'll never look at an apple the same way again.